Massive floods in northern Iran over the weekend were so severe that the armed forces and Islamic Revolutionary Guard Corps were deployed to deal with the crisis. With the IRGC now leading efforts to deal with the flood's aftermath, the national emergency has illustrated cleavages in the government's ability to respond to a natural disaster. Deputy Commander Hossein Salami announced on Sunday that the IRGC would be ready to assist in key aspects of confronting flood-hit areas, including providing a field hospital. The announcement shows the extent of the crisis which began last week and was at first ignored by the government. Video emerged showing towns submerged in Golestan and Mazandaran provinces along the Caspian Sea. Gen. Mohammad Baqeri, the head of the Iranian Armed Forces, said Saturday that the natural disaster would be met with assistance from various security forces. According Iran's PressTV, some 56,000 people have been affected in 70 villages in Golestan, and 200 in Mazandaran. The reality on the ground must be far worse to require such a massive response. Maj.-Gen. Mohammed Ali Jafari of the IRGC has informed the 31st Provincial Corps and a plethora of other units to be the ready to assist, according to Tasnim News. The units involved include ground forces, aerospace commanders and others. Police are also being deployed to help deliver food, along with 10 naval boats. The response to the floods has led to some unusual criticism within Iran. Ayatollah Jafar Sobhani appeared to critique the lack of response and preparations for such an emergency. He noted that if the flood hit other provinces that are not flood-prone it would be understandable, but said the lack of response in the North, where flooding is common, was unusual. Iran's Air Force also sent commanders to survey the region, according to Fars News. Meanwhile, up to 400 villages in Golestan and 200 in Mazandaran were reported to be without power. Some of the villages received assistance in recent days, and 7,000 people were said to have received emergency accommodations. 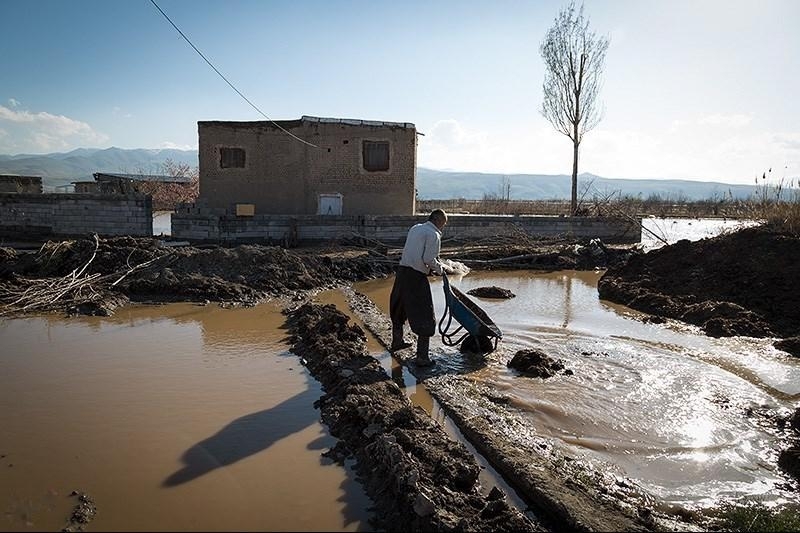 Despite Iran's constant boasts about its regional policies and attempts to insert itself into the economies of regional states, the floods have shown that the country suffers severe infrastructure problems. This is clear from the lack of a major civilian response to the floods and the requirement to bring in the army and IRGC to deal with the catastrophe. Iran is a country of 80 million people, some four million of whom live in the two affected provinces. Estimates so far say farmers have only lost around $10 million in damages due to the flooding. That figure seems incredibly low considering recent images of the region under water. The attention paid to the flooding will reduce, for the moment, Iran's attention on regional affairs. Baqeri who was in Syria a week ago, is now dealing with the flooding emergency. The wide-ranging coverage appears to point to a larger crisis or perhaps the decision of the IRGC to exploit the flooding in order to widen its role and show it alone can be relied upon to save the country in times of natural disaster.